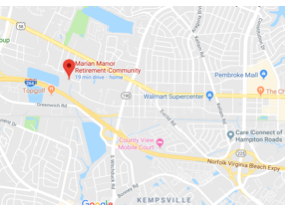 VBGS meetings will continue at the Marian Manor until later summer or next Fall due to renovations at the Virginia Beach Central Library. As you enter, go straight through the lobby and the dining room. At the end, you will see double doors, go through them. Go to your right down the hallway until you reach the Terrace Room. There will be signs at the lobby and at the double doors pointing you in the right direction. For parking, there are some places up front. There are more parking spaces along Marian Lane. assisting with genealogical software, bring laptops and tablets. walls. Sponsored by Sargeant Memorial Collection. Seating limited to 45.